The WIKKED VIBES online Shopping Cart uses a 128bit SSL (Secure Socket Layer) Secure Server for payments via PayPal which means that all payment transactions are completely safe and encrypted. First remove the white safety activation tab, then to turn the led light on simply twist to start..... it's as easy as that!! This L.E.D. 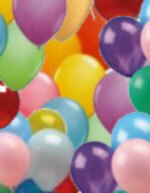 balloon light is reusable, and is a small sealed unit containing a very bright led. The balloon light is designed to be switched on prior to inserting into a balloon, and before inflation, with either helium or air Ultra lightweight, and ultra bright they fit easily into a 11" or larger balloon and work well in any latex balloon. They can also be used in smaller air filled balloons, or as table centre pieces, be as creative as you can! Jumbo Flashing L.E.D. balloon lights. Ultra lightweight, and ultra bright they fit easily into a 16" or larger balloon and work well in any latex balloon. Has all of the features of the regular light, but also has multiple colours in the one light. Each jumbo light has a three colour sequence, alternating between red blue and green bright light! The jumbo light features a single colour sequence change, and then a flashing colour sequence change. This version is also waterproof, so can be used indoors and out. 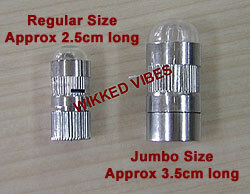 Each jumbo light comes complete with three button cell batteries and can be re-used with replacement batteries. You have everything you require to operate this device - just add your own balloons!! The jumbo balloon light is designed to be switched on prior to inserting into a balloon, and before inflation, with either helium or air.